Accommodation reservations will open with Registration on 9th February 2007. 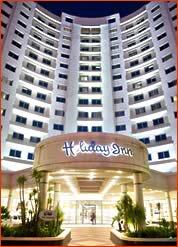 Cape Town has a wide range of accommodation options to suit all tastes and budgets. The AORTIC 2007 Conference Secretariat has selected a range of hotels for delegates to choose from and has negotiated reduced rates. 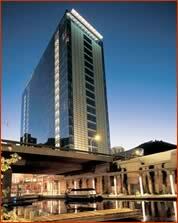 All the hotels have easy access to the CTICC, and most are within walking distance. It is strongly advised that delegates reserve accommodation early to ensure availability. The ArabellaSheraton Grand Hotel sets new standards in elegance and comfort, bringing world-class luxury and style into the heart of one of the most sought-after business and holiday destinations in the world. Linked to the CTICC and just a stone’s throw from the V&A Waterfront, most of its 483 rooms and suites offer floor-to-ceiling views over Cape Town, the Waterfront, the harbour and outlying mountain ranges. The hotel also offers a unique e-butler service providing the ultimate in guest service excellence, and exquisite beauty treatments are available in the stunning AltiraSPA on the 19th floor. Dining options include fine dining at the prestigious Thirty7 restaurant, Louis B’s Jazz Bar offering live music nightly, and Raleigh’s Cigar Bar. On a warm day, guests can take in the African sun at La Piccola Gondola. Guests have access to all the usual five-star services at the ArabellaSheraton Grand Hotel, which combines the best of contemporary lifestyle with classic traditions and service. 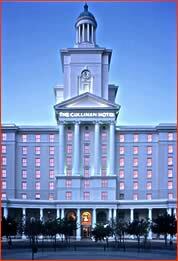 Southern Sun The Cullinan Hotel is situated close to the city centre, just opposite the entrance to the world-famous V&A Waterfront, and across the street from the CTICC. Only 20 km from the airport, this luxury hotel offers efficient and discreet service with warm and welcoming hospitality. Guests can enjoy spectacular views of Table Mountain or the harbour from the luxurious rooms, and the hotel also boasts a fitness centre, swimming pool, salon, restaurant and business centre. All rooms offer en-suite facilities with separate bath and shower, tea and coffee making facilities, digital safes, air conditioning and 24-hour room service. Nestled between majestic Table Mountain and the Atlantic Ocean, the Southern Sun Waterfront – Cape Town is ideally situated. It is a 20-minute drive from Cape Town International Airport, is in close proximity to the city centre, and has easy access to nearby beaches. It is a 546-room hotel with all the quality and comfort of a full-service hotel and offers international travellers the assurance of high standards while offering excellent value for money. Facilities and services include an excellent restaurant, breakfast room, bar, fitness centre, outdoor swimming pool, meeting rooms and secure underground parking. The pool area offers Table Mountain as its stunning backdrop and is the ideal spot to relax after a busy day's conferencing or sightseeing. 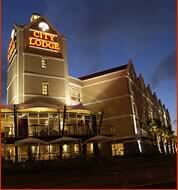 Room service, babysitting, and a shuttle service to and from the V&A Waterfront are also available. A centrally located hotel at the gateway to the vibrant V&A Waterfront, the City Lodge Waterfront is located within walking distance of Cape Town's central business district and many tourist attractions. A nautical theme runs through the hotel and a pool is available for guests to relax in when the weather is warm. Full information on accommodation rates will be available shortly. 1. Reservations will be made on behalf of delegates by the AORTIC 2007 Conference Secretariat. Please complete the appropriate section on the registration form specifying single or double occupancy, check-in and check-out dates, and any other special requests. 3. In order to secure your accommodation, one night's deposit is required. The balance is due one month prior to arrival and will be debited from the credit card provided for the deposit. Please ensure that your credit card is valid through the end of your stay, failing which the booking may not be guaranteed. Any extras must be settled in South African Rand (ZAR) upon check-out. 4. In the case of cancellation, the deposit paid is not refundable. Cancellations prior to 24th September 2007 will forfeit the one night's deposit. For cancellations less than 30 days from arrival date or failure to arrive at all (no shows), a 100% penalty will be charged. Should you fail to arrive as scheduled, the hotel will charge for the loss of revenue for the night or nights in question. Deposits apply only to the original booking made and are not transferable. Upon check-in at the hotel you will be required to complete a form with your address and passport details. If you wish to speed up this process, please complete your passport details on the Conference Registration Form (nationality, passport number and expiry date). This will ensure that you only need to sign the pre-completed form upon check-in. All reservations are made on a “first come, first served” basis. The stated room rates and availability are valid through 24th August 2007. Thereafter, no rates or availability can be guaranteed and requests will be dealt with according to the current availability and rates at the hotels.